Discover an exquisit world of fragrances with Molton Brown’s luxury beauty and home gifts. In 1973, a small hair salon stood on South Molton Street. The basement on this salon was a magical atrisian emporium, hand-pouring natural hair care products and creating herbal formulations. These captivating fragrances and lucuious lotions laid the foundation of the Molton Brown philosophy. Leading the way in culture and style, the South Molton Salon soon became an immersive experience for adoring customers. Drawn in by the blossoming floral window displays, and lingering for the delicious offerings from the in-house vegetarian café, the glitterati and fashion elite quickly became established members of the salon’s cult following. Launched as one of Britain’s first luxury hand washes, ‘Bubbling Orange Grove’ became recognised for it’s unforgettable citrus fragrance. Today the iconic lotion is known as the beloved Orange & Bergamot and is found in the bathrooms of the world’s most distinguished hotels. 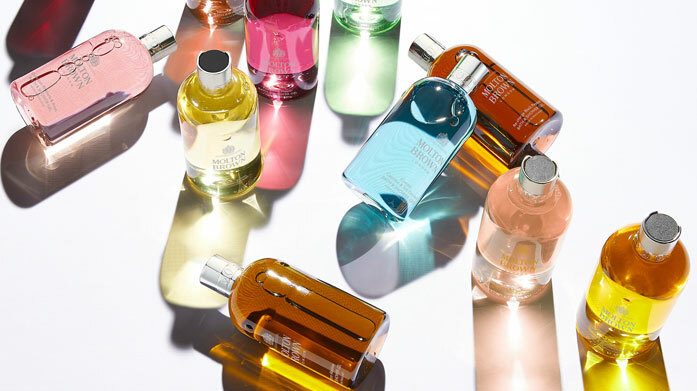 Molton Brown is a brand that understands the charm of individualism. Collaborating with the most exciting perfumers and creating truly unique fragrances has paved the way for Molton Brown, giving us delicious fragrances such as their award winning Re-charge Black Pepper. Growing from a small-scale artisan into an internation luxury brand today, the heart of Molton Brown is very much London, while it’s spirit is that of the furthest flung corners of the world. Discover the Molton Brown range at Brandalley.co.uk, decadent travel sets, to supersize bottle's of luxury handwash to calming and nurturing hand lotions, all at up to 70% off!